I really enjoyed thinking about what I was going to choose for this weeks post. In the end, I think I've been nice in selecting our favourite Disney Pixar films! I see Pixar films a bit like the modern day fairy tales as there's usually a good moral to be learnt from the movies. 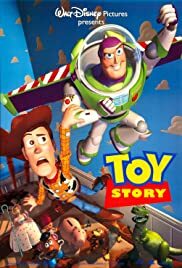 1) Toy Story (1995) - The first feature length computer animated movie, it's the buddy film about the life of Andy's toys and how his favourite toy Woody comes to terms with the arrival of Buzz Lightyear. They have to work together with the assistance of Andy's other toys to evade Sid and then follow Andy's family to their new home. Released in 1995, it has set the bar for so many that have followed, featuring plenty of star names and comedy that drew in parents. 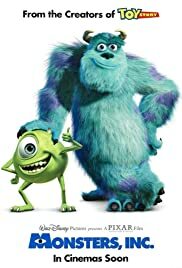 2) Monsters Inc. (2001) - The story focus' on two best friend monsters, who work at Monsters Incorporated to generate power from scaring children, even though they are scared of their human prey. When a child follows them back, they work together to return her. It's a fun film with great voice actors, teaching the younger audience that it's better to make people laugh rather than scare them. 3) Cars (2005) - This film revolves around Lightning McQueen in his attempt to win the Piston Cup. 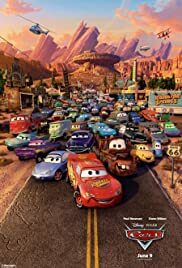 Having finish in a three way tie in the final race of the championship, McQueen travels across America to get to a tiebreaker race only to fall off the back of his transporter and ends up in Radiator Springs. Before heading off to the grand finale. In typical Pixar fashion, the story isn't exactly original, but it's a nice spin on the 'over confident upstart challenging their values'. 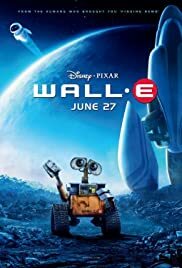 4) WALL-E (2008) - After mankind has ruined earth, a small robot goes around collecting and tidying the planet. He comes into contact with EVE and so develops a love story across space. Although there's very little dialogue in the movie, the way the director and animators draw you into the story is amazing (I wish I had their way with storytelling!). 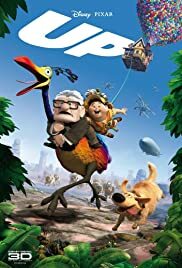 5) Up (2009) - Having lost his soulmate, Carl Fredricksen encounters a boy scout called Russell. They end up going on an adventure, trying to find Paradise Falls where Carl plans to settle. Another feel-good film, this time it's the relationship that develops between Carl, Russell and number of other animals then come across that make the story. The Incredibles - Someone explained that this is what the Fantastic Four movie(s) should be like, which made me smile. It's the story of the everyday life of a family of superheroes and how Mr Incredible feels the need to return to saving the world. Finding Nemo - Having fallen asleep watching this the first time I tried to watch it (I was travelling back from Australia at the time!) I recently watched the entire film, for the benefit of my little boy, and it's definitely one that I'll watch again. Ratatouille - I recall seeing this a couple of times at the cinema, the story of how a rat becomes one of the top chefs in Paris. 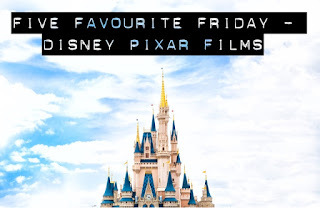 As always, you can read my partners Five Favourite Friday post here.